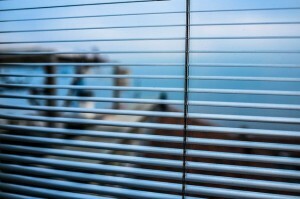 Window blinds and awnings are typically overlooked by establishment owners as they see no point in making such a minor part of the house better. Items such as an elegance blind can do wonders for a room as it is both functional and aesthetically pleasing. Here are some of the benefits that come with these items. For smaller spaces, blinds can do wonder too, especially for smaller hotel rooms. Guests always want a spacious room to stay in for that maximum comfort but if the room that you’re leasing isn’t big enough, you can still make it look cozy and spacious with the help of blinds and shades. This design trick is what I learned from a friend who checked into a small hotel room in Australia. The room wasn’t that big but it looks like it. The key? They just used a panel glide blind. They may look too solid but they can perfectly match any window and curtain and make rooms more spacious than ever. They aren’t just a design though but blinds like such are also good in keeping the blinding lights away. Blinds and window awnings are also a good addition in homes as well if you want to have more privacy. You can use them to block views from the outside so no one can peek from your window. Apart from that, contrary to what most of us got used to, they also have lives beyond our windows. With a little more creativity, you can use it them to divide your rooms into sections. Additionally, you can use it to conceal messy areas in some parts of your room. Windows blinds, shutters, and awnings play a big part in our homes too and even in commercial establishments. They don’t just give added protection from the harmful rays of the sun but they are also good at giving us more privacy and aesthetics.